There are a total of 2905 posts. Finally today! SUPER JUNIOR-D&E, Korea's first solo concert 'THE D&E' just up! New song 'Danger' stage debut! Perfect choreography + charismatic premonition! The solo concert of SUPER JUNIOR-D&E, which is recognized as a well-maiden performance, has attracted a total of 300,000 audiences from all over Asia. 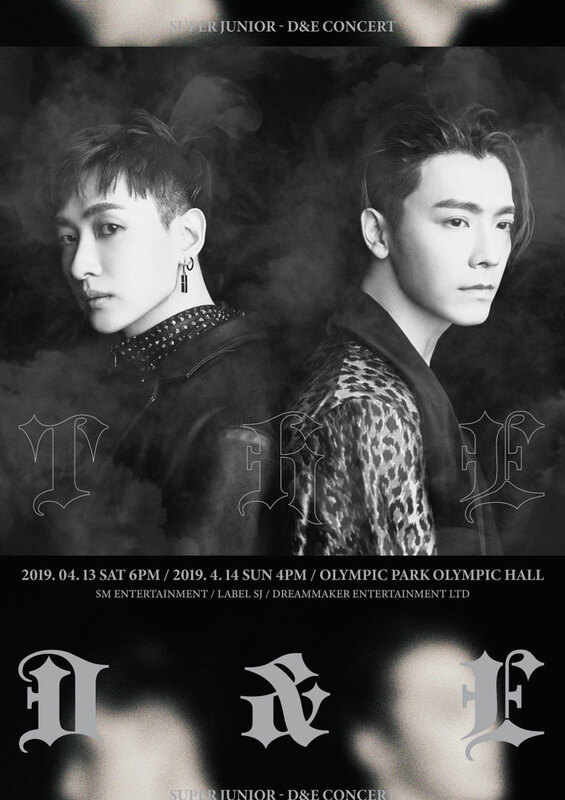 SUPER JUNIOR-D&E will hold its first solo concert 'THE D&E' in Korea from April 13th to 14th and will attract fans with fantastic performances, directing and various musical performances. First of all, the concert will be unveiled on the 15th of this month, with the title song "Danger" of SUPER JUNIOR-D&E's third mini album 'DANGER'. The fans are attracting attention on the new stage, which is about to be released for the first time. In the past, SUPER JUNIOR-D&E held three Japan national tours including ‘SUPER JUNIOR-D&E THE 1st JAPAN TOUR 2014', ‘SUPER JUNIOR-D&E JAPAN TOUR 2015 -Present-‘ and ‘SUPER JUNIOR-D&E JAPAN TOUR 2018 ~STYLE~’ Taiwan, Hong Kong, Shanghai, China, and has proven to have strong ticket power overseas. On the other hand, a new album 'DANGER' with 7 tracks including 'Danger', 'Jungle', 'Gloomy', 'Watch Out', 'Dreamer'. All music sources will be released on various music sites at 6 pm on the 14th. 'K-POP Sensation' NCT 127, USA 1st place Morning Show ABC 'Good Morning America' appeared! Strahan and Sara, a famous talk show, is the first Korean singer to appear! It captures viewers all over the United States! North America Tour Open! Highest expectation! 'K-POP Sensation' NCT 127 (SM) will appear on US Terrestrial ABC's representative programs 'Good Morning America' and 'Strahan and Sara' before North American tour. ABC's "Good Morning America" ​​news program announced on April 11 (local time) that NCT 127's appearance on the SNS account. The NCT 127 will be on stage at Good Morning America on April 18th at a studio in New York City, New York, and is expected to capture the attention of viewers across the United States. 'Good Morning America' is a representative morning broadcast of the ABC Channel of America, which is broadcast live every Monday to Friday at 7:00 am (Eastern US time). It is the first broadcast of the US morning news program, It is one of the influential programs such as the 'Emmy Award' award given to the work, and it realizes once again the popularity of NCT 127 which is attracting local attention. In addition, NCT 127 will be a first Korean male singer to appear on ABC's popular talk program 'Strahan and Sara' on the same day, and will show a lot of charm through talk and stage. NCT 127 will be showcased on 12 April in 11 US and Canada cities including Atlanta, Miami, Dallas, Phoenix, Houston, Chicago, San Jose, Los Angeles, Toronto and Vancouver, starting with the New Jersey PREDENTIAL CENTER on April 24. And the LA concert has got a hot response from the start of the tour, including the addition of a limited number of seats, making NCT 127's global performance even more exciting. 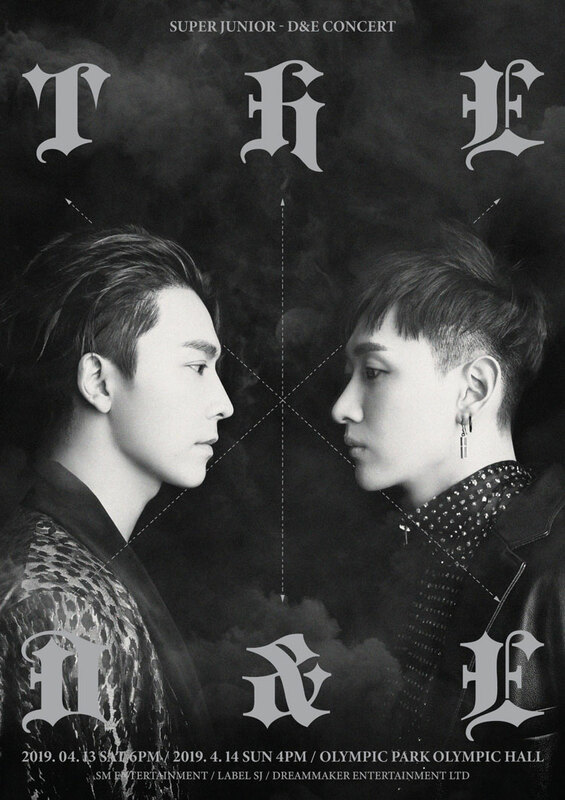 Super Junior-D&E releases new album 'DANGER' sound source D-3! April 11 at 12:00 pm, the title song 'Danger' Notice the second teaser video! 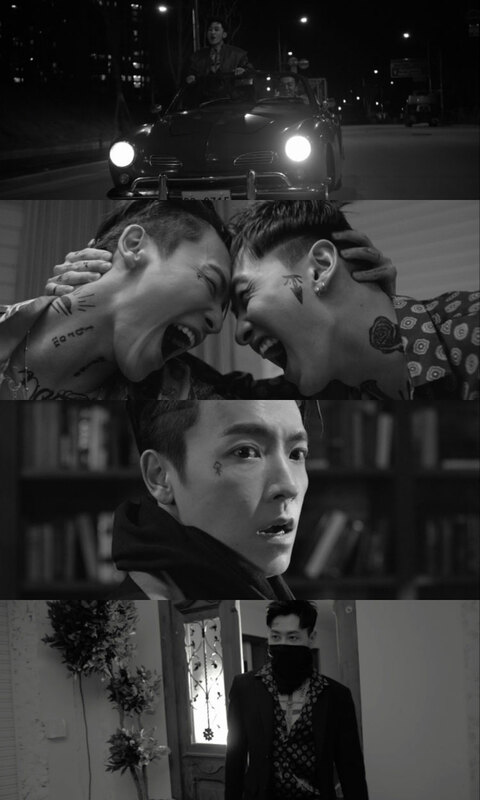 Super Junior-D&E releases the teaser video of the new song 'Danger'. Super Junior-D&E will launch its second album titled "Danger" on April 11 at 12:00 pm on the official website, YouTube, and NAVER TV SMTOWN channels. do. The first teaser video, released on the 8th of last week, was enthusiastic about the new song, featuring an intense point choreography that seemed to pull the trigger of the pistol to the title of 'Danger'. The title song 'Danger' is a song of the Electro Trap genre that shows dynamic and colorful performances along with a solid message that believes in itself and goes ahead with negative thoughts around it. It is a dandy and bright image that Super Junior-D&E And 180 degrees, so you can meet the charm. On the other hand, Super Junior-D&E's new album "Danger" music video and title song "Danger" will be released on April 14 at 6:00 pm and the next day, the official album will be released. 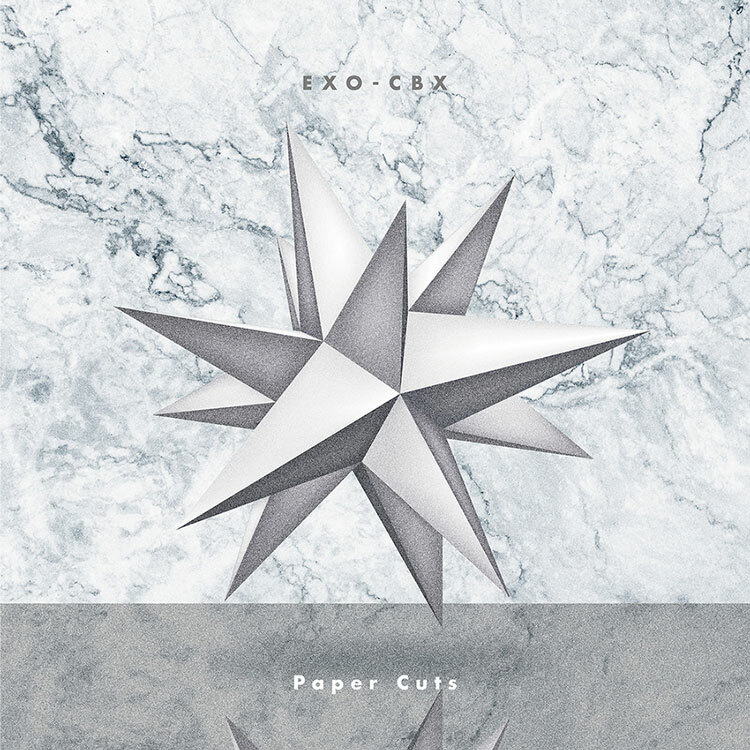 EXO-CBX, Japan Digital Single 'Paper Cuts' April 12th at 12:00 Korea Open! Beautiful ballad song for spring! Japan 1st iTunes! EXO-CBX (SM) Japan's digital single 'Paper Cuts' will be released to the public on December 12. Exo-CBX's Japanese new song 'Paper Cuts' will be available on various music sites such as Melon, Flo, and Genie from April 12th to 12th. The new song 'Paper Cuts' is a beautiful ballad that goes well with the spring. It adds to the emotional appeal of the lyrics, which says "Time that you can not meet tells you the true meaning of love" and the clear vocals of the three members. 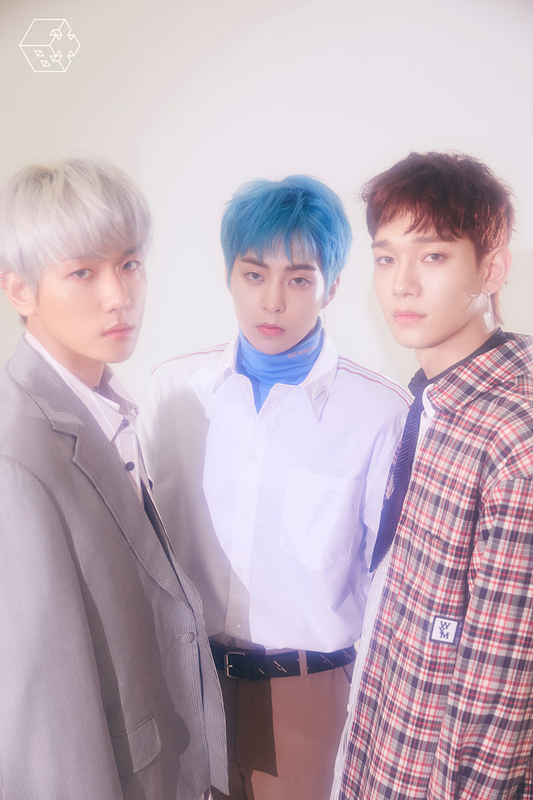 Meanwhile, EXO-CBX will launch "EXO-CBX “MAGICAL CIRCUS” 2019 -Special Edition-" at the Saitama Super Arena on April 16-17 and the Kobe World Memorial Hall on April 27-29. SUPER JUNIOR-D&E 'DANGER' charm new album highlights Medley topic! From the title track 'Danger' to 'Jungle', 'Gloomy', 'Dreamer' total 7 tracks recorded! SUPER JUNIOR-D&E's third mini-album 'DANGER' highlight medley is on the market. The new album highlights Medley video of SUPER JUNIOR-D&E, which opened on 10th and 12th at Youtube and NAVER TV SMTOWN channels, features a total of 7 track previews featuring the title song 'Danger', DONGHAE and EUNHYUK They are getting a hot reaction. The title song 'Danger', which is a rather unusual title song from the title, is composed of songs such as 'Jungle' and Sensual R & B 'Gloomy', which is an addictive melody, . ‘Watch Out’, which is a dangerous moment, 'Dreamer', which gives sympathy to those who have anxiety about the future, 'Sunrise' and 'If You', which are popular in Japanese albums and reborn in Korean version A total of 7 tracks seem to be enough to enjoy the music world of SUPER JUNIOR-D&E. 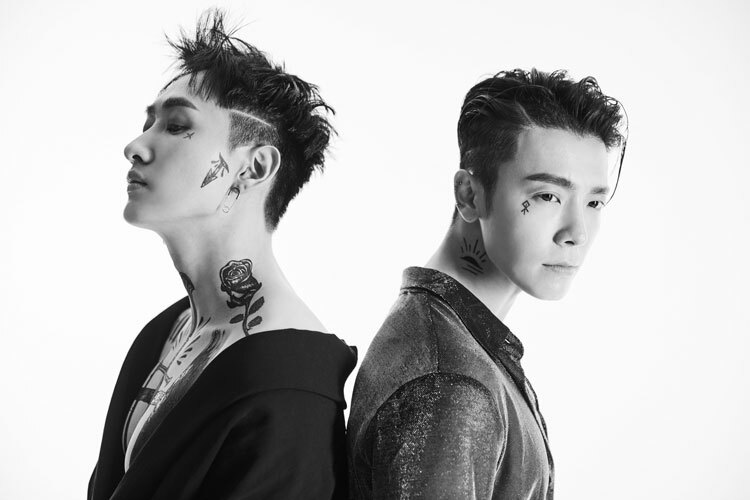 On the other hand, SUPER JUNIOR-D&E's third mini-album 'DANGER' all music source and title song 'Danger' music video will be released on various music sites at 6 pm on April 14th. 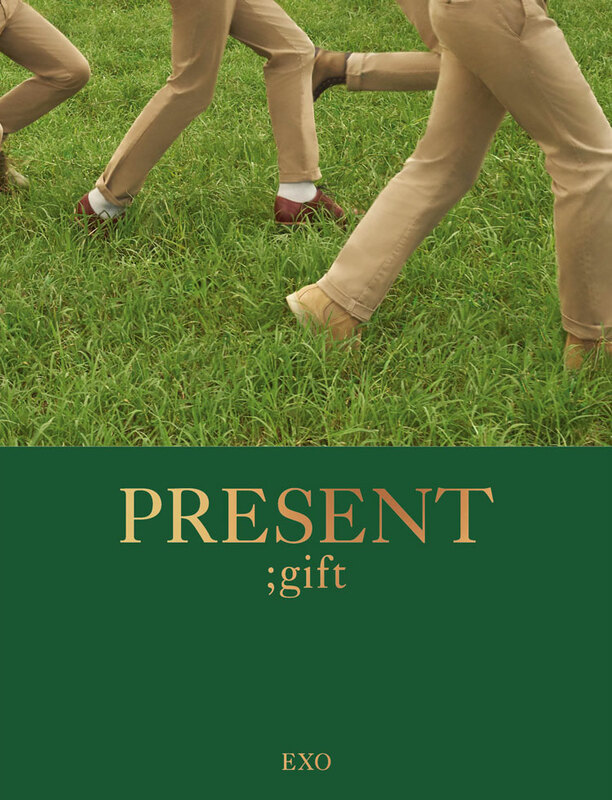 EXO Photobook 'PRESENT; gift' April 30 release! A romantic break from Hawaii like a gift from EXO! April 8 Book sales start! 'K-POP King' EXO (SM) Photobook 'PRESENT; gift' will be released on April 30th. 'PRESENT; gift' is a concept that EXO who visited Hawaii suddenly cancels the schedule and enjoys a rest like a gift, and is able to meet the free members who enjoy the leisure time and get away from everyday life. In particular, this photobook will capture a variety of attractions with exotic scenery and spectacular visuals, with a variety of attractions, from shooting romantic getaways to Hawaii and taking photos of EXOs to their vibrant, relaxing moments on vacation. In addition, Photobook will be able to pre-order at various on-line and off-line music stores starting from the 8th anniversary of EXO's debut. 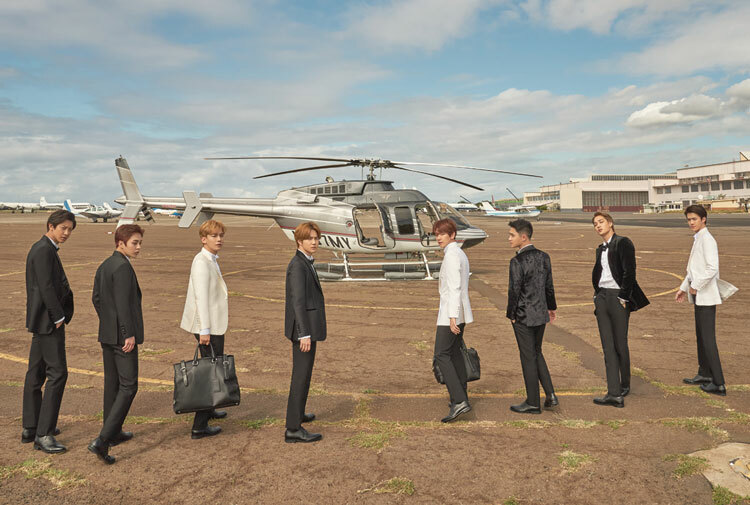 Meanwhile, EXO Photobook 'PRESENT; gift' was produced with the cooperation of the Hawaii Tourism Board and will be officially released on April 30. 'K-POP Sensation' NCT 127 world tour, Mexico, Russia concert confirmed! Neo appeal of NCT 127, notice the world swoop! World Wide Movement goes on! 'K-POP Sensation' NCT 127 (SM) confirmed a concert in Mexico and Russia, continuing the world wide tour to North America, South America and Europe. NCT 127 World Tour 'NEO CITY - The Origin' will be held at Mexico's City Teatro Metropolitan on May 21, Ice Palace in St. Petersburg on June 26, and Megasport Sport Palace in Moscow on June 29, It is expected to get attention. In particular, this NCT 127 concert is not only unusual for K-POP concerts, but also attracted local attention with performances being held in the big arena venues, which can accommodate about 10,000 people, as well as two cities in Russia. It is expected to fascinate audiences with a well-made performance that combines in-performance, neo-charm and sophisticated stage production. 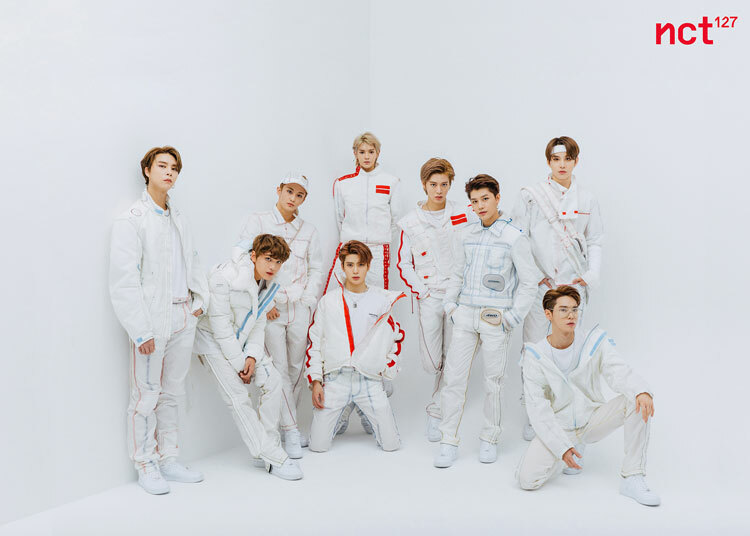 In addition, the NCT 127 will be showcased at the New Jersey PRUDENTIAL CENTER on April 24 and will be held 12 times in 11 US and Canada cities including Atlanta, Miami, Dallas, Phoenix, Houston, Chicago, San Jose, Los Angeles, Vancouver, , And is going to perform special performance. Girls’ Generation-Oh!GG ‘Lil’ Touch’ MV hits 100 Million views on YouTube! Girls’ Generation-Oh!GG (SM) ‘Lil’ Touch’ MV hits 100 Million views on YouTube. On September 5, last year, Girls’ Generation-Oh!GG's first single "Lil' Touch" music video, which was released via YouTube SMTOWN channel, I felt it. Girls' Generation will feature three 200 million view music videos including 'I GOT A BOY', 'Gee', 'The Boys', 100 million view 5 music videos from 'Oh! ', 'MR.TAXI', 'PARTY', Taeyeon 'I', Girls 'Generation-Oh! GG 'Lil 'Touch' 'K-POP legend girl group' proved power. Girls’ Generation-Oh!GG's 'Lil 'Touch' is an up-tempo pop song with an addictive chorus and rhythmical and dynamic composition. It ranked No. 1 in 21 places in the world and No. 1 in China Xiami Music Composite Chart.